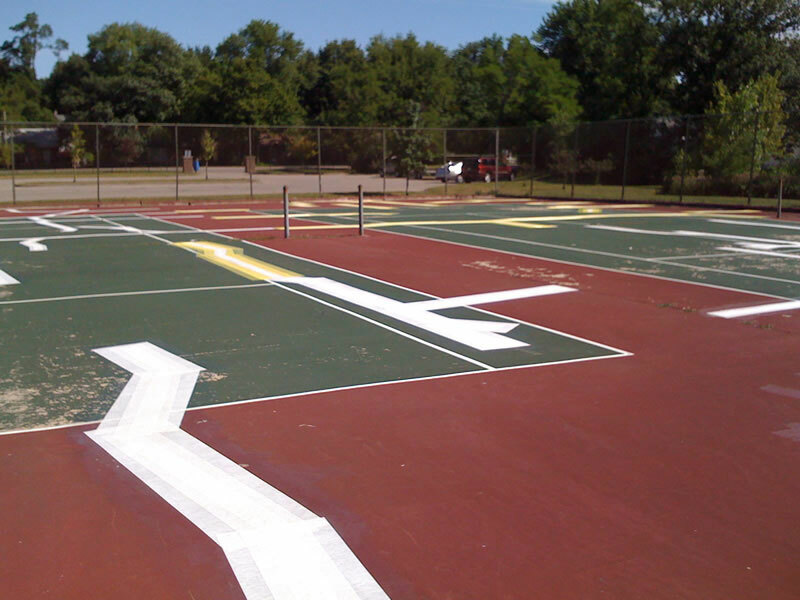 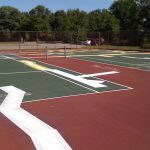 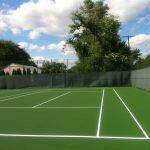 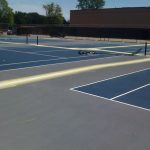 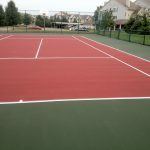 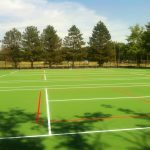 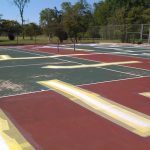 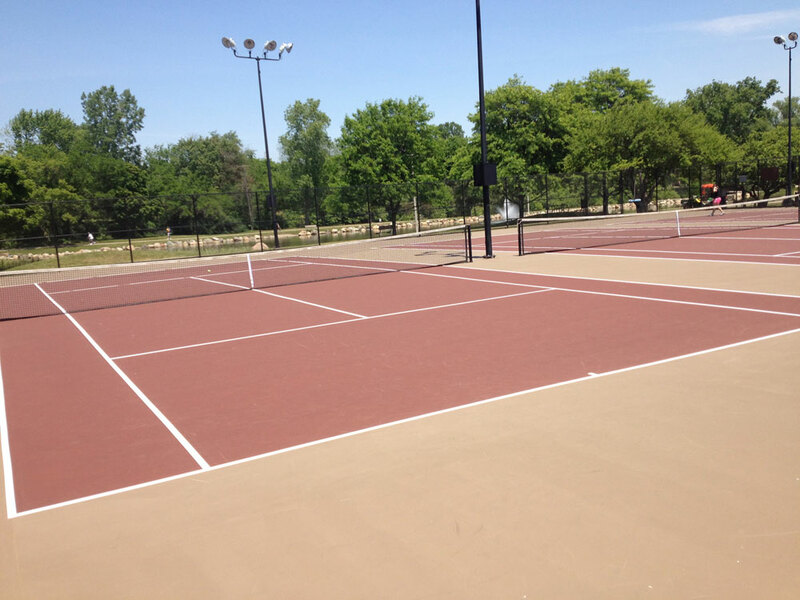 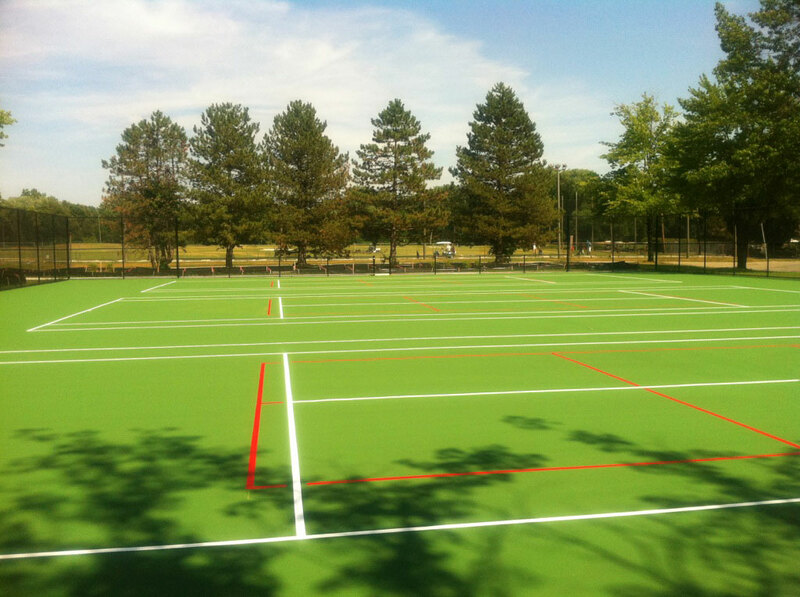 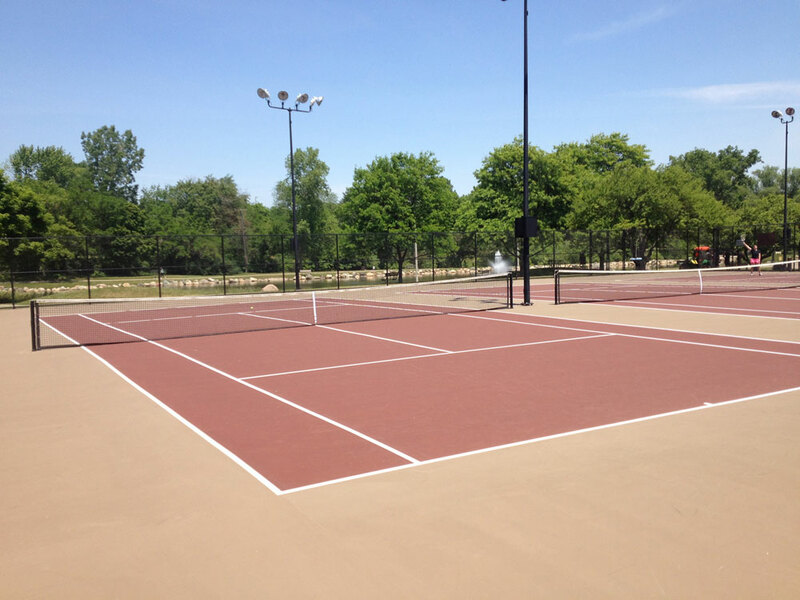 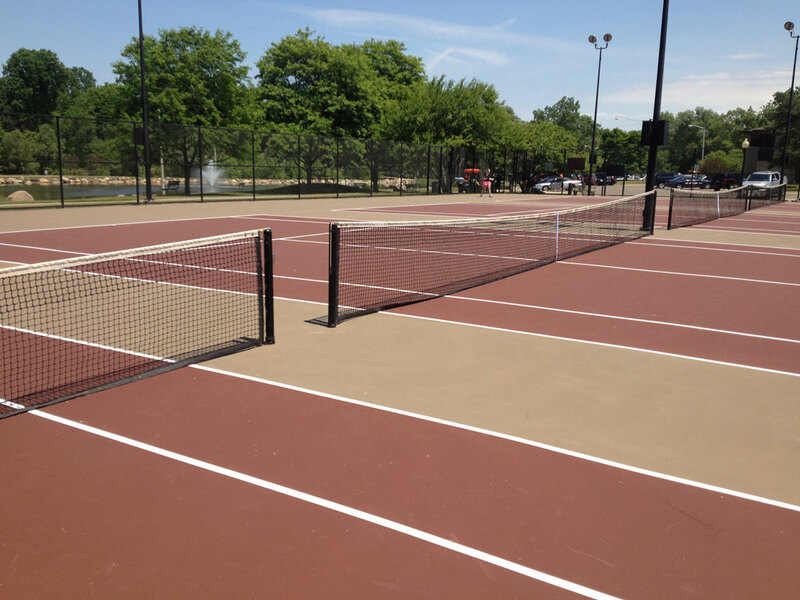 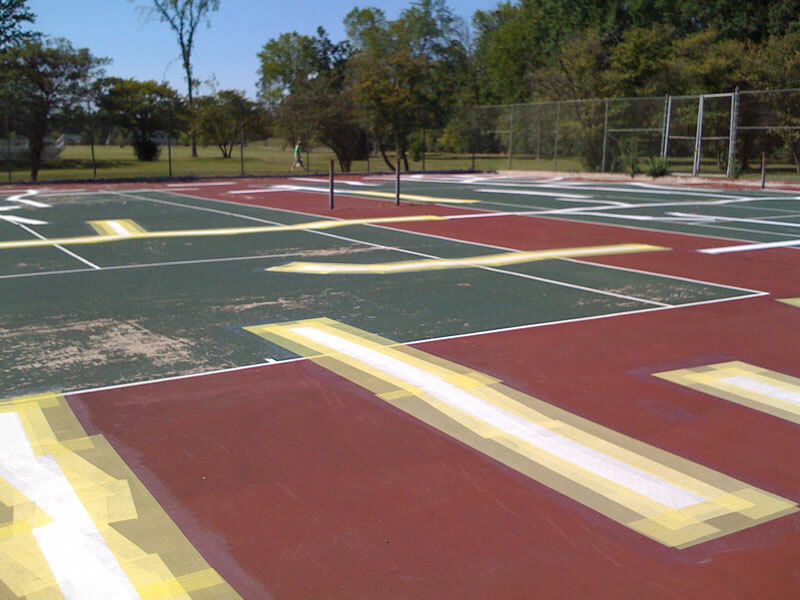 At Goddard Coating we specialize in the design and construction of every type of tennis court. 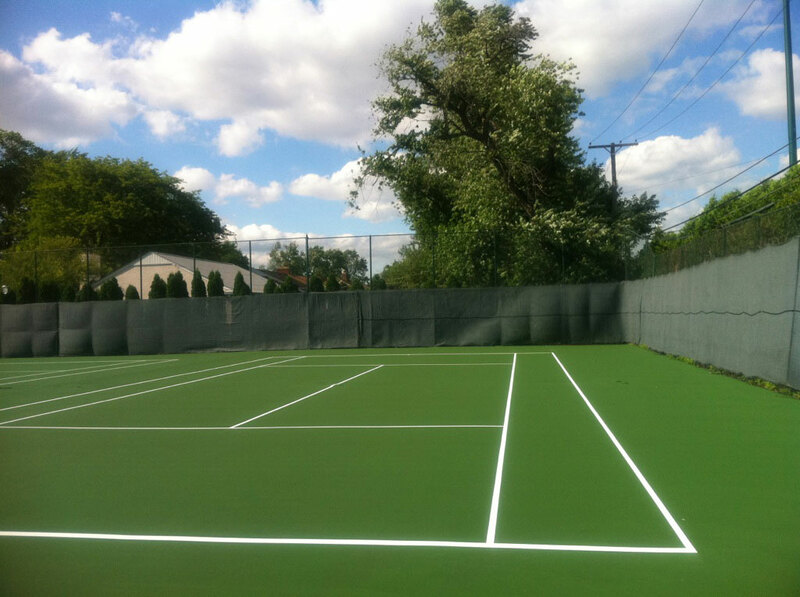 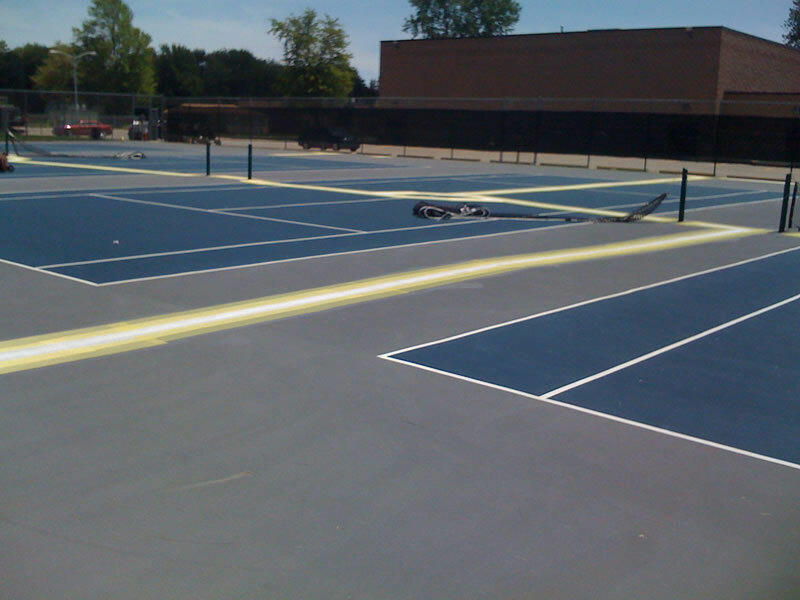 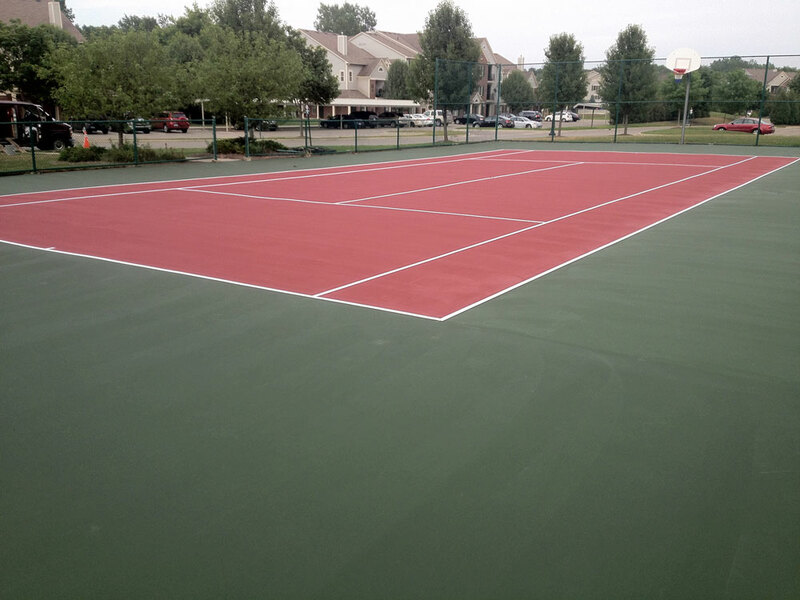 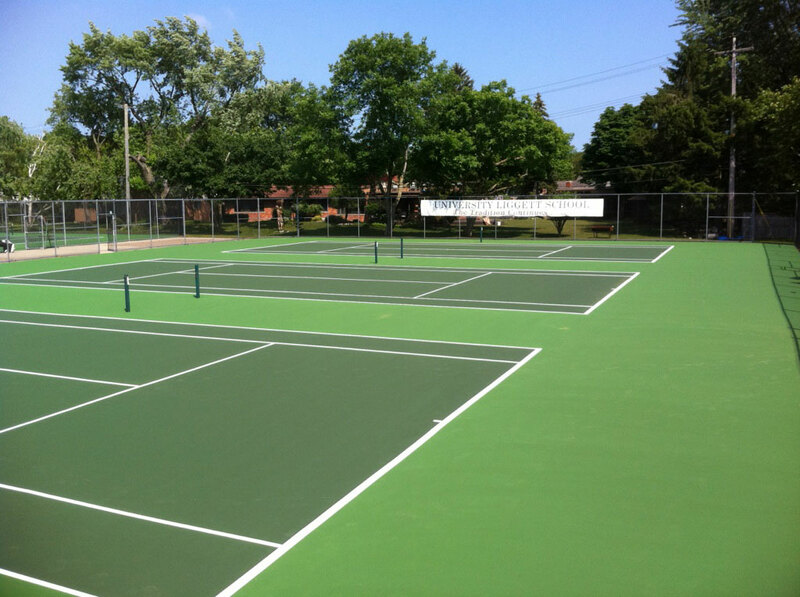 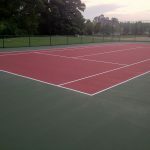 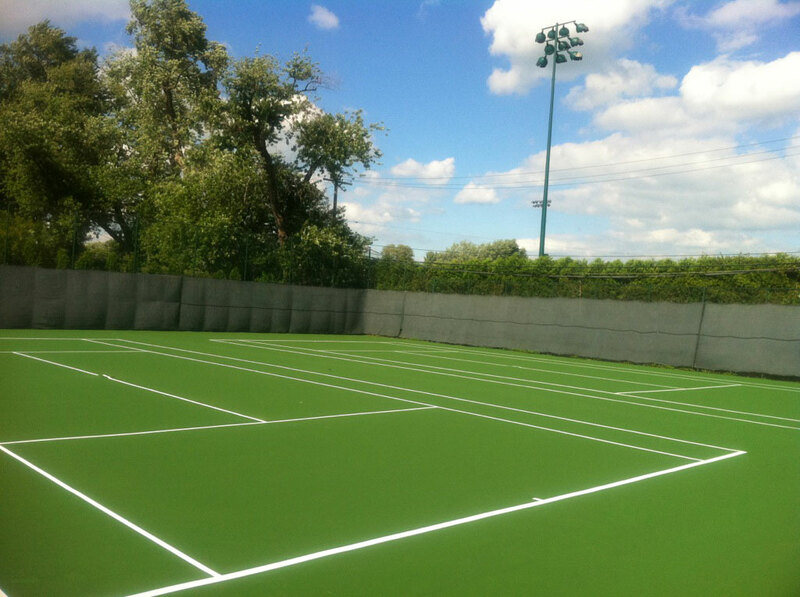 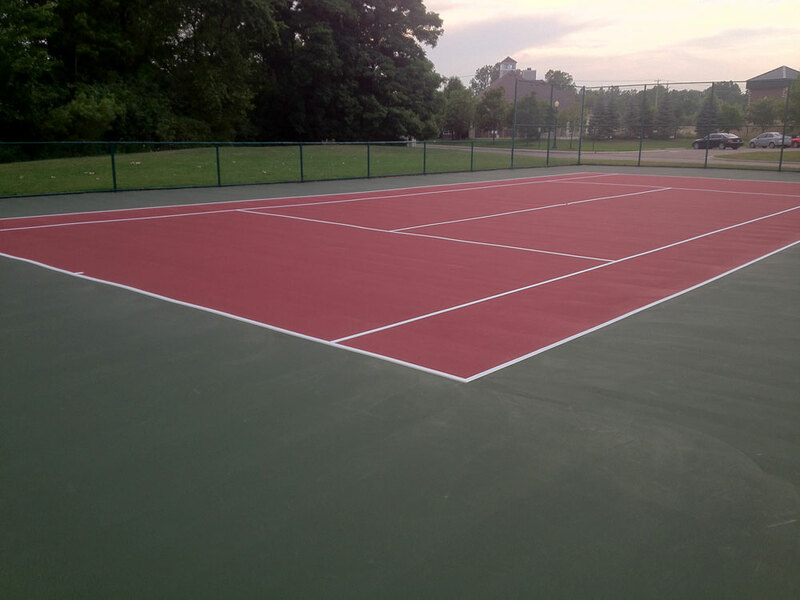 We also service and repair tennis courts for both private and commercial customers. 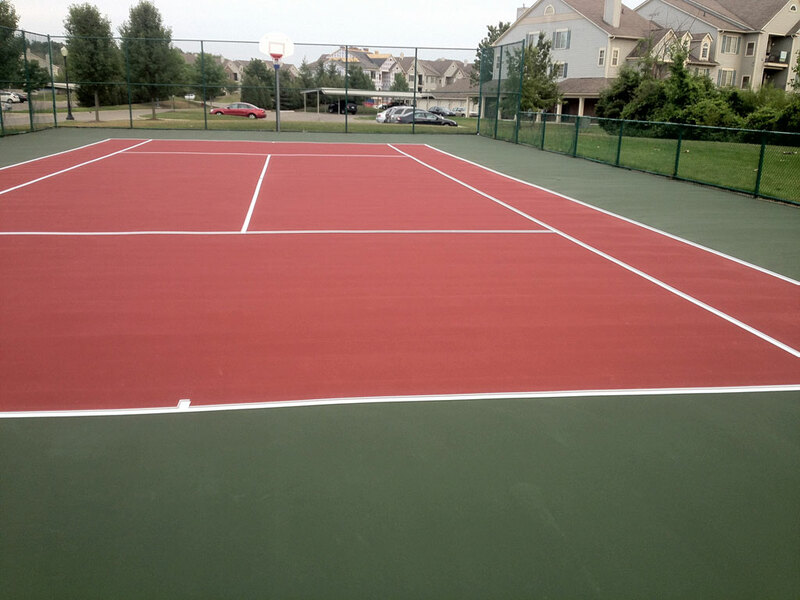 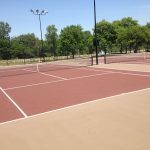 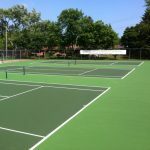 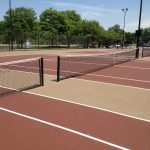 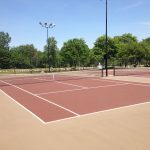 Let our team look at your tennis court project and we guarantee you will be happy with the new tennis court or tennis court repair/resurface job we do. 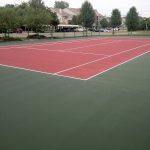 Our tennis courts are durable and provide superior resistance to wear and weather, yet they are comfortable to play on and provide excellent tennis ball response and bounce. 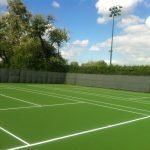 We have installed acrylic coatings on thousands of sport surfaces, we have partnered with Plexipave Sport Surfacing Systems as the manufacturer/supplier for our sport acrylic coatings.